!! IMMEDIATE DELIVERY IMMEDIATELY AFTER CONFIRMATION OF YOUR PAYMENT !! After payment of the order, the system automatically (without our participation) will instantly send you a link to access the official key to replenish your Google account balance for $ 5 ($ 5). ATTENTION! The card is suitable only for US accounts (only accounts registered in the USA) !!! Google Play Market - this application is the unification of all Google stores into one under the motto: "Pure entertainment, wherever you want it." 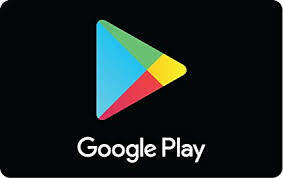 The Google Play Store has brought together the Android Market, Music Store, Video Store and Book Store. Google provides an excellent opportunity to access your purchases at any time and from any device with Internet access, thanks to the provision of space for storing this data in a single cloud service. Access to the service will be possible not only through special applications, but also through any WEB browser! - Log in to your account or create a new one. - Activate this code. All balance is replenished! You can also replenish the balance from your Android device through the Google Play Store app -> Redeem!